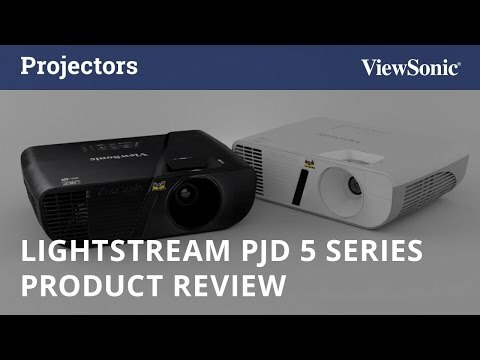 The ViewSonic networkable LightStream™ projector PJD6352 features 3,500 lumens, native XGA 1024x768 resolution, majestic style and thoughtfully intuitive design. Exclusive SuperColor™ 6-Segment Color Wheel maximizes color saturation and brightness for true-to-life image projection in any light, while SonicExpertTM, ViewSonic’s proprietary sound enhancement technology, powers a 10W speaker to deliver incredibly clear and audible sound. PortAll - a neatly designed enclosed HDMI/MHL connection compartment, supports streaming media from wireless HDMI dongles or MHL connectors, while a cable management hood connects onto the back of the projector and eliminates unsightly cable clutter. With HV keystone, corner adjustment, 1.3x optical zoom, shorter throw ratio, and easy network management, the PJD6352 provides flexible setup. Designed with smarter features and extensive connectivity, the networkable PJD6352 is ideal for use in education and corporate environments. Packed with 3500 lumens and a high contrast ratio, the PJD6352 is guaranteed to produce bright images in any environment – even in rooms with high ambient light.